Haven't try yet but tested the power and its work. It seems that it will be able to roast some nuts and a small chicken. But I use it mostly as a small and convenient and easy to clean oven in “DIY” mode for heating up my bread for breakfast. I felt my bread taste better and safer than if I will to use a microwave oven. delivery was quick, item was well received. Lightning delivery. Ordered on 04Apr and received on 05Apr. Not yet to try. Hope that it will deliver as per what is promised. Received. Voucher was shown but was not given. Fast delivery and well packed. Yet to try out to justify the product. Ask for Black colour, seller never read msg and send a white? Type of local customer service in Singapore? Worst service ever. Qoo10 unhelpful and poor service. Item received in good conditions. Thank you seller. Good deal good buy. Dear customer, order received is the silver microwave oven instead. Thank you. Hi there I just won the auction to buy the item at S$169 but I would like to know before I confirm this purchase what item did I win for this auction - the air oven or air fryer? I want to buy the air oven in black color. 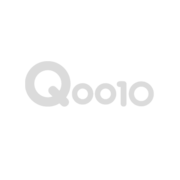 Dear customer, you will need to select the item you would like to purchase, after Qoo10 has confirmed that you have won the auction. Thank you. Hi how do I get the $70 voucher? What's the t&c? Dear customer, may we check where did you see the $70 voucher? Dear customer, it is a gift voucher for you to enjoy a DIY baking class at Funsiamo baking studio. Thank you. Dear customer, thank you for your messages. Unfortunately, the vouchers are given away at a limited quantity, and have been fully redeemed. We sincerely apologise if you did not managed to receive the vouchers, as these vouchers are while stocks last. Thank you for your kind understanding. Thank you. Dear customer, apologise to have accidentally overlooked your enquiry. Your order has been processed, and we are unable to make the changes on time. Thank you. Hi! I’m very interested in the air oven but have a couple of questions if you don’t mind helping me with. 1. Can it bake cakes and biscuits? If yes, can I use my own cake tin? 2. Does it come with a recipe booklet? 3. Can “airfryer” recipes be used for this air oven? Dear Customer, thank you for showing interest with our products. Kindly find our answers below to your enquiries. 1) Yes, you can bake cake or biscuit with it. The air oven comes with accessories like 10 pizza tray, wire rack, stiring blade, frying pan, chicken rack & carrying handle for accessories. Oven proof only baking accessories are advisable if you would prefer to use your own baking accessories. 2) It does not come with recipe booklet. 3) Yes, air fryer receipes can be used for this air oven. 29 days left AIRSIM 3-in-1 Sim Card - Value: $10 4G/3G Fly Anywhere Enjoy Anytime! 29 days left AIRSIM 3-in-1 Sim Card - Value: $20 4G/3G Fly Anywhere Enjoy Anytime!